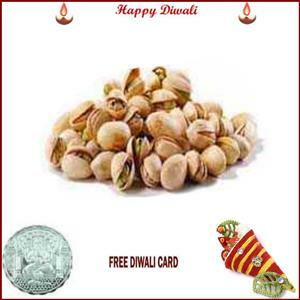 Send half pound pistachios in a beautiful packing for the auspicious day. wt: half pound. each order comes with a free silver plated coin, roli tikka and a handmade paper diwali card.. delivery only in canada.